A classic vanity light design. Features a white glass diffuser. Finished in Polished Chrome. The Appeal Collection's distinctive forms highlight soft modern accents. Etched white glass shades balance nicely with the fixture's full back plate and simple square arms. Contributes to a desired spa-like effect. Two-light bath that is comprised of beautiful square glass and a detailed profile, Callisons fine details add shadow lines and create contours within the fixture. The design offers aesthetic and functional benefits with uniform light output and reduced glare. Coordinates with Delta Faucets Ashlyn collection of faucets. Three-light bath that is comprised of beautiful square glass and a detailed profile, Callisons fine details add shadow lines and create contours within the fixture. The design offers aesthetic and functional benefits with uniform light output and reduced glare. Coordinates with Delta Faucets Ashlyn collection of faucets. One-light bath & vanity with smooth forms and windowpane style gallery that produce a beautiful, modern gas light effect. Overscaled tubing and etched glass shades offer substance within the sleek frame. Can be mounted up or down. 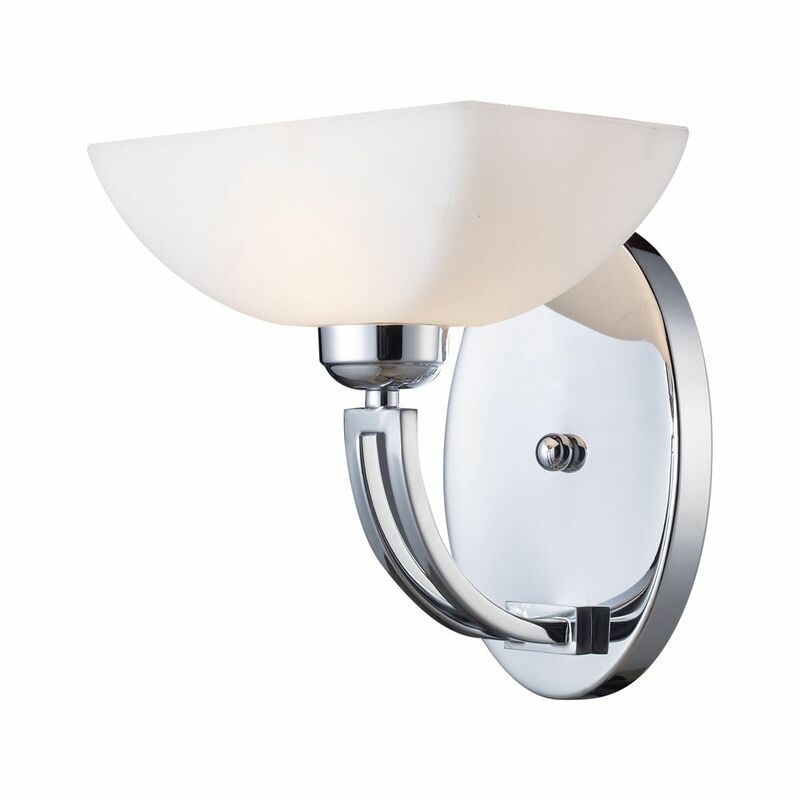 1-Light Wall Mount Polished Chrome Vanity A classic vanity light design. Features a white glass diffuser. Finished in Polished Chrome.